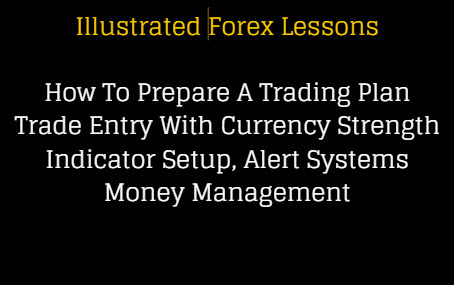 Forexearlywarning provides these 35 forex lessons to fully describe our trading system. We refer to these lessons during our Wednesday webinar training sessions. This is a complete forex lessons package intended to provide any trader with the full details of a complete trading system. If you are a forex beginner you may want to consider reviewing our forex beginner course before reviewing these forex lessons. The 35 lessons including full market analysis using multiple time frame analysis of trends, trade entry verification and entry management, broker selection, estimating profit potential and money management ratio, and straight forward money management like setting and moving stops. If you would like to print out the lessons or get the lessons in PDF format, just use Printfriendly.com. We hope you enjoy reading these foreign exchange lessons and can profit from our trading system. 6 - What is Forexearlywarning? Please read each of these forex lessons for detailed descriptions of each component of our complete trading system, we also have all of the lessons summarized in compact video/audio guide format on our Forexearlywarning Youtube Videos. If you like these lessons you can continue to read more articles about the forex related to our trading system on our blog, these articles will also help traders to master the system. Our illustrated forex lessons and resources comprise the best forex school you can find on the web, and will bring you profitable trading.